This is sage advice given by the highly accomplished, Academy Award winning actor, Michael Caine (Hannah and Her Sisters, The Italian Job, The Cider House Rules) during a BBC interview. 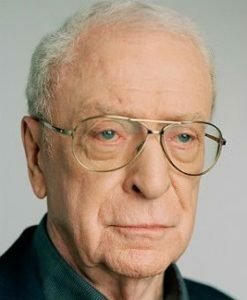 According to Caine, in a close-up scene, an actor can send a signal of strength and seriousness of purpose by not blinking. And, conversely, the actor can signal weakness, vulnerability and nervousness by blinking more than usual.